Winning multiple product tests and international awards, The X-Socks® Sky Run 2.0 Running Socks are the choice of marathon runners, joggers… in fact, anyone who is serious about their running. 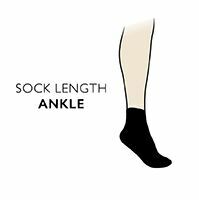 The socks are extremely breathable, with an innovative AirGoTex™ mesh knit at the instep that both pares back weight and makes them highly airy. Integrated X-Cross Bandage ankle bands and AirFlow ankle pads protect against injury, as do toe, toe-tip, instep, Achilles tendon, extensor and heel protectors, whilst patented AirConditioning channels continuously direct fresh air underfoot. The addition of 99.9 % pure silver to the anatomically shaped Sinofit™ footbed actively reduces odour and inhibits the spread of bacteria and germs.